"A haunted game from 1981" reads the strapline for Spellrazor, the latest creation from Fluttermind Games, led by Dene Carter (Fable, Dungeon Keeper, Druid). 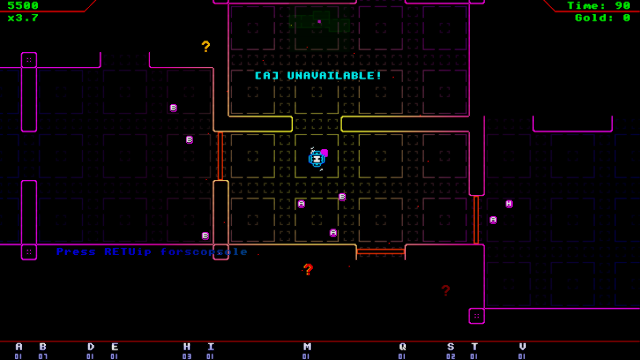 It's a neon, glowy, glitchy mix of Paradroid, Robotron, and rogue-likes with a sinister storyline and eerie feel. Sounds awesome! On the game's itch.io site there's a (very)playable alpha to give you a taste of the style of gameplay and it's brilliant mix of strategic and arcade elements combined with a "debug console" which is the games method of delivering the story. By accessing the terminal, you get hints and clues to build up the history of what happened to prevent the original game being released. Despite this only being an alpha release, it already feels very polished and different to any one individual game I've played. the 80's neon style, the glitching, the scanlines and fantastic music are all just icing on the cake. screenshots just don't do it justice, it needs to be played. 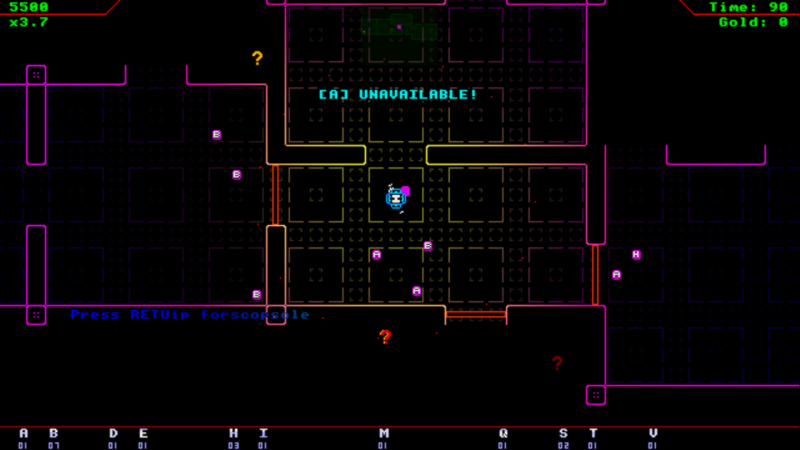 Spellrazor is played in realtime using the cursors and all 26 letter keys, as well as space. In order to make this strange array of weapons usable, the game goes into 'slowmo' mode when a threat is detected. This gives you valuable breathing room to choose the appropriate key/spell, dodge, or flee.